One in eight women in the United States will be diagnosed with breast cancer in her lifetime. According to the World Health Organization, breast cancer is the most common cancer among women worldwide. I’ve known a few women in my time that have been diagnosed and otherwise affected. 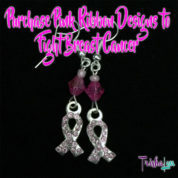 It’s for them that I’ve created some Pink Ribbon designs. It’s also for them that, for the next two weeks, I’ll be donating 50% of the sales from my Pink Ribbon designs to Liz Fogg for her journey to walk the AVON 39 The Walk to End Breast Cancer in Washington DC. October 2018 50% of sales of these designs will be donated to the Breast Cancer Research Foundation. Julep $1 Black Friday Polish Sale is BACK! I’m always looking for new sources of nail art supplies or polishes. Despite reaching out to many nail polish brands, I still buy all of the polish you see me talk about myself, with a few exceptions. Recently, I discovered the Born Pretty Store as a resource for very cheap nail art supplies. I first learned about them on Instagram, but never really followed up to look at their site until I saw them post some new dolphin water decals and a coupon code in the caption. Sold! Hey lovelies! I’ve got a great gift with purchase to share with you today – and no hurry, it’s good for the rest of the month! 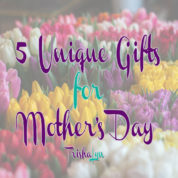 It’s cool – take some time to peruse their stock before deciding on what to buy to get your free gift. Receive a Free Silk Elements Sequin Tassel Bag with an online purchase of $15 or more at SallyBeauty.com! Just enter promo code 555442 at checkout, valid through 5/31. This fun bag is a PERFECT gift for lovers of two of my favorite colors – it comes in your choice of Purple or Teal! It’s a $19.99 value, so spending $15 to get the free gift is a total bargain. I’ve already ordered my goodies and free bag… won’t you? I have a few purple bags already, so I went with teal. Can’t wait! Sally Beauty is a great go-to beauty supply store for all your nail polish, hair, and makeup needs. I find myself there at least once a month to check out new stock and find that ONE polish I’m sure I don’t have yet 🙂 And with free shipping on all purchases of $50 or more? Forget it, I often wait and stock up to get my goodies shipped right to my house and into my hot little hands! Sally Beauty has terrific polish brands like OPI, Finger Paints, China Glaze, and more. Since it’s the 50th anniversary of Sally Beauty this year, they even have two great nail polishes to celebrate the occasion: OPI Limited Edition Sally Beauty 50th Anniversary Fifty Is The New Fabulous and OPI Limited Edition Sally Beauty 50th Anniversary Pop the Cork! I know I’ll be adding these two spiffy looking polishes to my (ever increasing) wish list! Did you know that Julep sells more than nail polish? 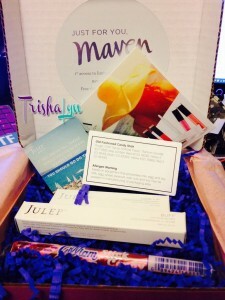 I didn’t until I signed up for the Maven subscription and explored the store a little more. After two great boxes (my intro and February box) with great polishes that I still haven’t used, when I got the email to customize my March box, I looked around to see what else I could get in my box besides nail polish. I went with the March Modern Beauty Box. Included in the box, which arrived promptly on Monday the 3rd, was the Julep Buff Lip Scrub, the Julep Luxe Lip Conditioning Treatment, and a Cinnamon Gilliam Stick Candy. I wasn’t expecting the candy, and since I don’t care for cinnamon candy, it was a nice gesture but one I won’t be taking advantage of. Unlike the nail polishes, I was able to use these right away! I’ve had a scruby lip balm before that I liked, but lost, so the Buff Lip Scrub was terrific. 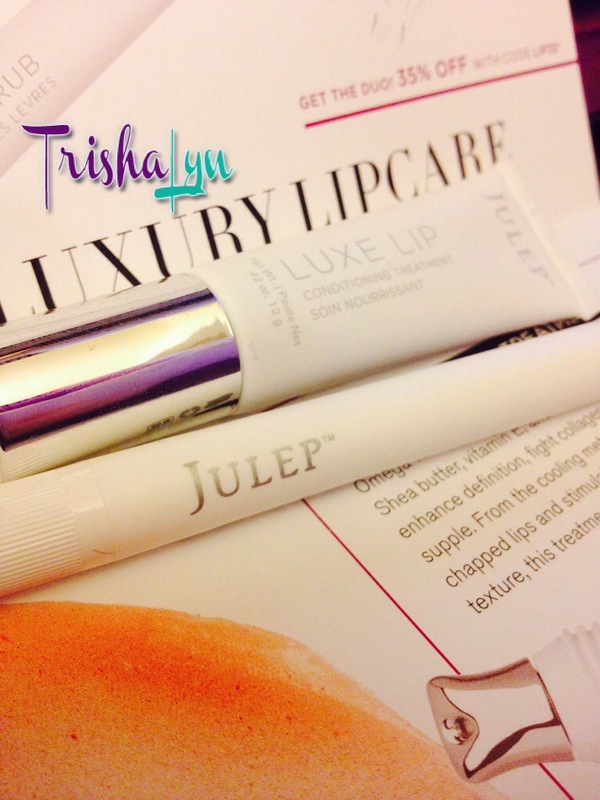 I immediately followed it up with an application of the Luxe Lip Conditioning Treatment, and my lips feel phenomenal. I usually wake up with dry lips, even if I slather on a coat of my trusty candy cane (peppermint) ChapStick before bed, and this definitely solved that. It’s something you don’t think of much – skincare for your lips – perhaps beyond the very simple application of ChapStick. Both have terrific sweetness and subtle flavors, different than each other but strangely complimentary. The Buff Lip Scrub is somewhat tropical in feel/flavor and the conditioning treatment is almost like slathering sugar cookie dough on your lips. Very aromatic and lovely. 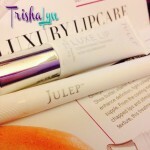 Through March 31st, you can save on these great products AND the Julep Riviera Collection lip balms too! Remember there’s only one use per customer, per code so order wisely! Are you a Julep Maven yet? If not, why not? I am here to answer any questions you have about the wonders of being a Julep Maven!